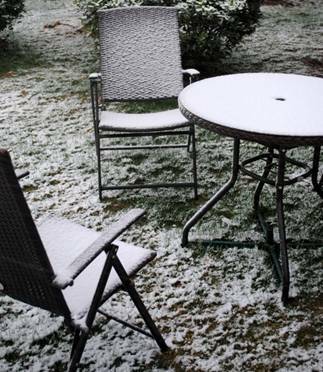 On December 14th 2010, Shanghai ushered its first winter snow, which we met by chance. Bringing us surprise, it caught us unprepared at the same time. Early in the morning Shanghai Shibang Machinery Co., LTD industrial park’s staff, still as usual, began a day’s their orderly hard work. Logistics back office force follow up, coordinate, and feedback whole process, even if the snow. 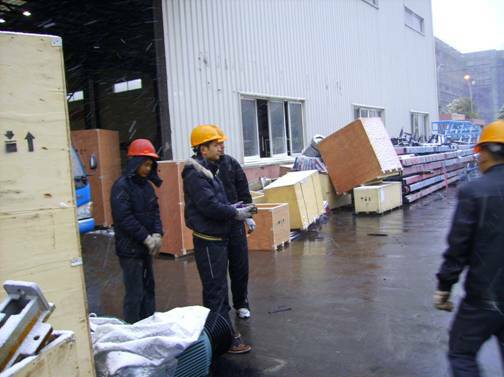 Our stevedores were in a race against time, using all of their physical effort. 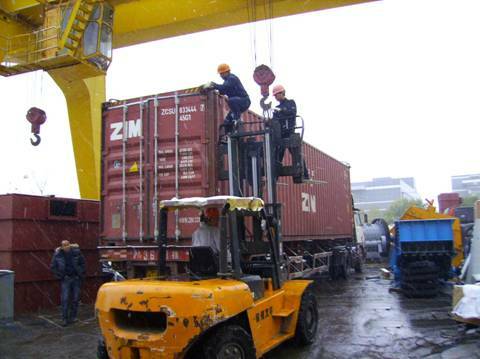 Because of the high product demand, the containers fitted every day are in ten or more. In order to ensure timely and accurate shipping, they all had great sense of responsibility, and did not slacken their efforts in the slightest. This is just an ordinary day of SBM industrial park employees 365 days. But they are playing uncommon move and persistence move every day.